Ziad Ali, a senior studying electrical engineering and biomedical engineering has been selected as one of the 2018-19 Astronaut Scholars. Astronaut Scholarships are awarded to college juniors and seniors studying science, technology, engineering, or mathematics with the intent to pursue research or advance their field upon completion of their final degree. This year’s Astronaut Scholars include 50 scholarships to students from 36 universities in the U.S. Ali is joined by Madison Maloney, a senior studying aerospace engineering also at NC State. Ali is interested in electrical engineering and biomedical engineering. From a research perspective, he wants to look further into the intersection between electrical engineering and neuroscience. Specifically, he wants to investigate how we can create circuits and devices that can allow us to better probe and interface with the human brain so as to better diagnose and treat neurological disorders. 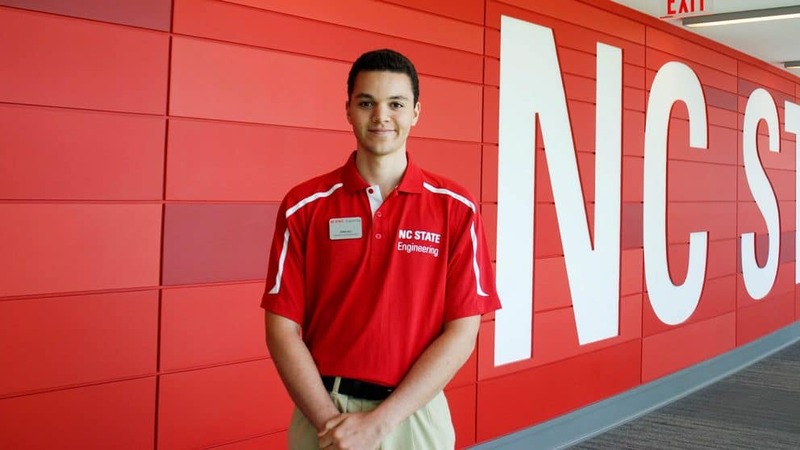 He is president of the Quiz Bowl Club and the App Development Club on campus, is an Engineering Ambassador, and is event director for PackHacks – a hackathon held at NC State. After completing his B.S. degree, his short-term goal is to obtain a Ph.D. in electrical engineering and to complete research in a university setting or research company. Long-term, he is looking to create his own research company that merges electrical engineering with biological/biomedical research. To be considered for the Astronaut Scholars, scholarship candidates are nominated by faculty members in their respective department. Then, they are selected by a university committee that submits the nominee to the Astronaut Scholarship Foundation Scholarship Committee. Ali and Maloney will attend the 2018 Innovators Gala on August 25 in Washington D.C., where they will be welcomed and honored.